Combination of herbs specially selected to give your dog the raw materials he needs to support and maintain a healthy body. Contains burdock, eluthro, gingko, gotu kola, lemon balm, passion flower, skullcap and ashwaganda. Supports the manufacture of synovial fluids to keep the body and its joints functioning as designed. 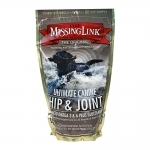 Especially formulated for dogs with joint problems in their hips, back and legs. Help eliminate unsightly tear stains on dogs, from the inside out. Developed to help eliminate unsightly tear stains on dogs, from the inside out. For healthy, itch-free skin in canines, may help support the immune system. 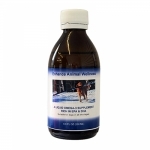 Canine Omega-3 fish oil supplement for dogs is a high quality, natural, liquid all-in-one supplement. Ideal for optimal health and well-being. Supplement designed to build lean muscle and is ideal for training and sale preparation. Helps achieve peak performance without stress or side effects. Veterinarian recommended * Promotes healthy skin and coat! Advanced care hip and joint support for dogs in a soft chew! 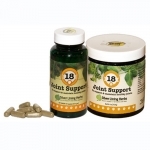 Chewable daily supplement helps support normal healthy hip and joint function. Concentrated liquid form for added convenience and faster absorption into the system. 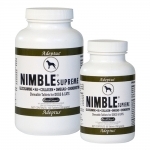 Supports energy levels, a healthy immune & digestive system & soft tissue, muscle, tendon & ligament function. Small breeds targets the nutritional gap between what nature provides and commercial foods. Added glucosamine helps support healthy joints and flexibility. Chewable, palatable supplement helps support healthy joint function and connective tissues. Omega Nuggets omega 3 treats for dogs in all life stages are a tasty, nutritious choice for your best friend. Used for dog skin and coat. 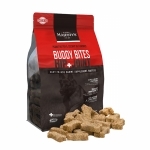 Tart cherry and dark berry joint and hip, for comfort and mobility, all natural dog treat.